1. An Army jawan was martyred and four others were injured when the Pakistan army violated ceasefire for a second day Monday, resorting to heavy mortar shelling and firing along the LoC in Jammu and Kashmir's Rajouri district. 2. A petition was Monday filed in the Jammu and Kashmir High Court challenging the extension of 77th and 103rd amendments of the Indian Constitution to the state through a presidential order earlier this month. 3. 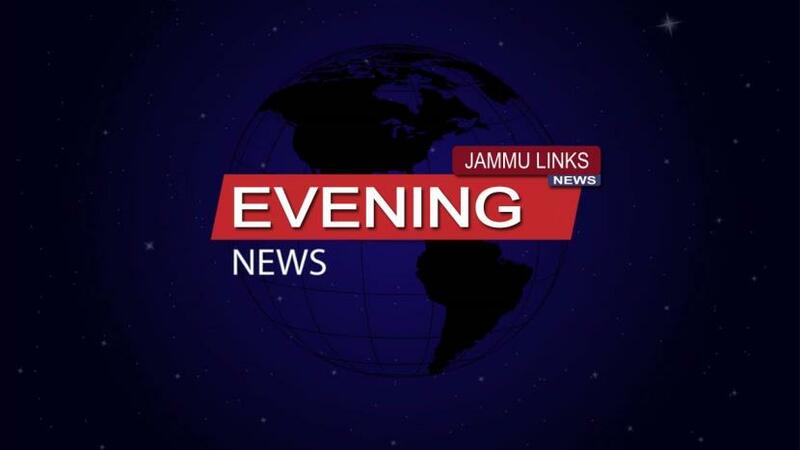 A 25-year-old man was shot dead by terrorists Monday in Pulwama district of Jammu and Kashmir. 4. Notification for the first phase of the Lok Sabha elections was issued on Monday, setting in motion the high-voltage electoral battle where the BJP seeks to return to power amid opposition's efforts to present a united fight to unseat it. 5. The Jammu and Kashmir unit of the BJP Monday paid tributes to Goa chief minister Manohar Parrikar who passed away at the party headquarters here. 6. The UAE on Monday said its played an important role in reducing the recent Indo-Pak tensions by giving "words of wisdom" to the leadership in both countries for sorting out differences in a peaceful manner. 7. Pramod Sawant, the Goa Assembly's 45-year-old Speaker, will be the coastal state's next Chief Minister, BJP leader said on Monday evening after hours of negotiations with its allies. 8. Congress general secretary Priyanka Gandhi Vadra on Monday launched a scathing attack on the Narendra Modi government at the Centre accusing it of "hoodwinking" people and undermining all existing institutions in the country. 9. Congress president Rahul Gandhi on Monday tore into the Prime Minister's ‘main bhi chowkidar' campaign, saying Narendra Modi wants to make everyone a chowkidar after being caught. 10. One CRPF jawan was martyred and four were injured in an IED blast by Maoists in Chhattisgarh's Dantewada district on Monday. 11. Goa chief minister Manohar Parrikar was cremated with state honours in Panaji on Monday, with thousands bidding the affable politician a fond farewell.